This monograph seeks the optimal way to promote compatibility between systems of proprietary security rights in Europe, focusing on security rights over tangible movables and receivables. Based on comparative research, it proposes how best to tackle cross-border problems impeding trade and finance, notably uncertainty of enforceability and unexpected loss of security rights. It offers an extensive analysis of the academic literature of more recent years that has appeared in English, German, the Scandinavian languages and Finnish. The author organises the concrete means of promoting compatibility into a centralised substantive approach, a centralised conflicts-approach, a local conflicts-approach and a local substantive approach. The centralised approaches develop EU law, and the local approaches Member State laws. The substantive approaches unify or harmonise substantive law, while the conflicts approaches rely on private international law. The author proposes determining the optimal way to promote compatibility by objective-based division of labour between the four approaches. The objectives developed for that purpose are derived from the economic functions of security rights, the conditions for legal evolution and a transnational conception of justice. This book is an important contribution to the future of secured transactions law in Europe and more widely. It will be of interest to academics, policymakers and legal practitioners involved in this field. Please follow link on right side of page to see full table of contents. 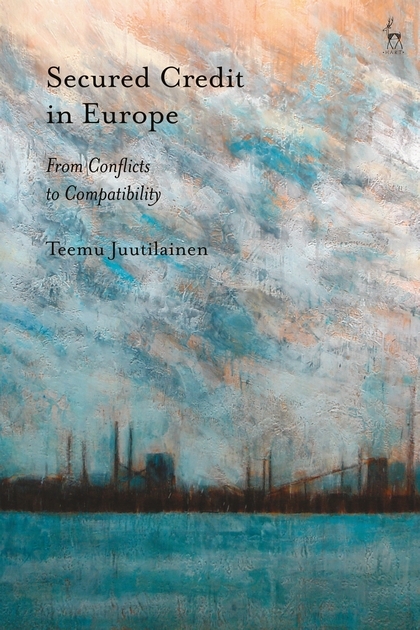 Teemu Juutilainen is Postdoctoral Researcher at the Faculty of Law, University of Helsinki.